Congratulations to our Spring 2015 scholarship recipients! Thanks to a generous grant from the ASPCA, five outstanding students have been awarded a tuition-reimbursement scholarship after successfully completing a 15 week Master of Science level course in veterinary forensic science. Thanks to the ASPCA, these students have been able to obtain extensive forensic expertise often necessary to help solve cases involving animal cruelty and to better ensure justice for animals and people. 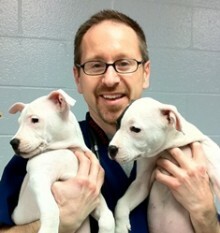 Dr. Fortna is a 2000 graduate of Michigan State University and currently the principal veterinarian at Oakland County Animal Control and Pet Adoption Center in Auburn Hills, MI. Working in the largest open-admission shelter in Michigan, Dr. Fortna has participated in numerous investigations of animal cruelty, neglect, and abuse. Dr. Andrew Silverstone attributes his interest in animal welfare to the activities of his mother, who founded the Tuscarawas County (Ohio) Humane Society in the early 1970s. Due to his experience with his mother’s efforts in animal welfare, even as a child he was aware of the difficulties faced when making positive changes in animal welfare. While a veterinary student, Dr. Silverstone took the opportunity for special training in treating cancer at the University of Wisconsin and North Carolina State University, as well as zoo animal medicine at the San Francisco Zoo. As a Post Doctoral Fellow, he was part of a team that studied and developed a cure for an inherited form of cancer (canine leukocyte adhesion deficiency) in dogs. This laboratory was first at the NIH to adopt research dogs to the public after being cured of their inherited disease. He is a past Research Fellow of the Harbor Branch Oceanographic Institute, and Veteran of the United States Army Reserve, Veterinary Corps. Since 2003, Dr. Silverstone has been the Medical Director for the Animal Care Clinic of Holland Road in Virginia Beach, Virginia. 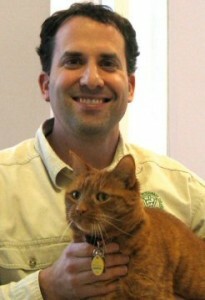 He teaches at Tidewater Community College, and is the current President of the Tidewater Veterinary Academy. Dr. Harrison is a graduate of the University of California Davis School of Veterinary Medicine, and currently an Associate Veterinarian at the Animal Medical Center in Auburn, CA. Her goal is to expand upon my work with local animal control agencies and rescue groups in the investigation and prosecution of cruelty cases.